Click to read more beautiful poetry. truly beautiful, all of it! Thank you, Geraldine. I find haiga as fulfilling as photography. And thank you for visiting! Now, what did you call yourself back then? I should know, I read every haiku after I started OSI. Oh gee, Jim. I have no memory of what I called myself! No memory, period! But I hope I was kind to myself. 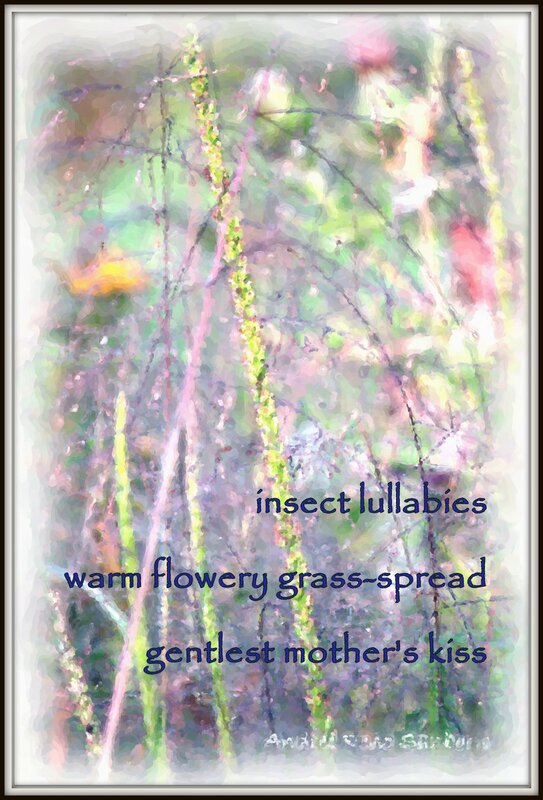 This haiga is in memory of Emily Dickinson, summer, nature and my faith. I'm glad you enjoyed it! It is nice that your muse took you to a warm colorful place. wish. A tenderly writtten poem.